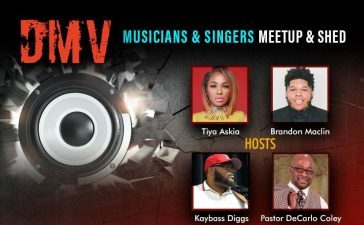 Brittney Wright and KJ Scriven will be live in concert Saturday, August 3 at the Artisphere Spectrum Theatre (1611 North Kent Street, Arlington, VA 22209). 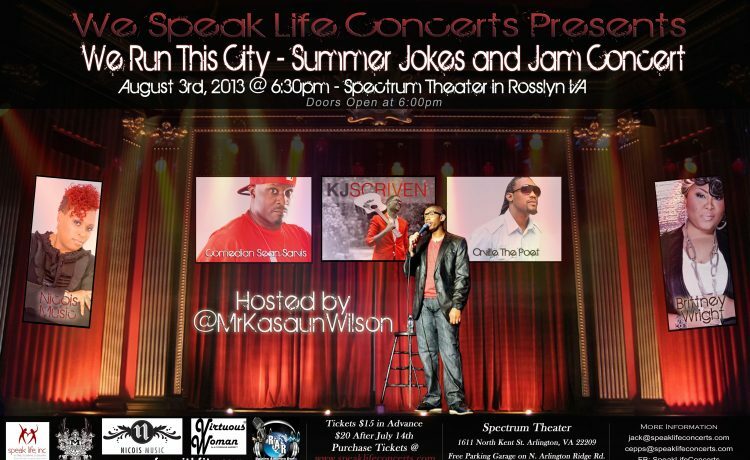 We Speak Life Concert is presenting the We Run This City: Summer Jokes and Jam Concert which will also feature Nicois, comedian Sean Sarvis and spoken word artist Orville the Poet. 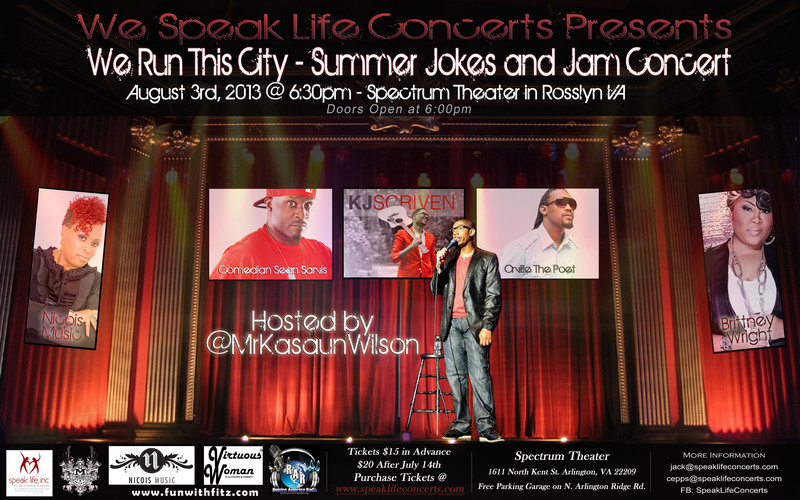 Comedian Kashaun will serve as host. Recording artist Brittney Wright’s debut album, The Beginning, was released in 2010. 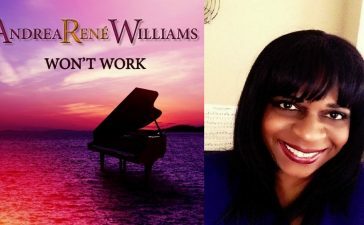 She is also responsible for writing the”I Win” which became the title track for Marvin Sapp‘s award-winning album. 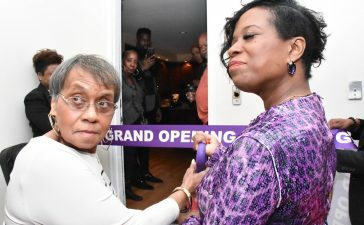 The song was previously a hit for Wright and got the attention of the music industry. Her current single “Be Alright” is currently gaining traction. 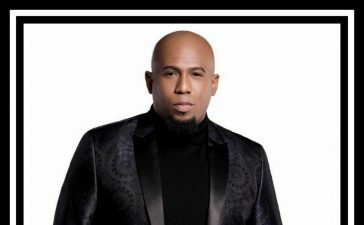 KJ Scriven is a contemporary Christian artist most recent project was The Acoustic Experiment, where he stripped away most of the musical instrumentation and focusing on the lyrical content. Spectrum Theater is two blocks from the Rosslyn Metro (blue/orange lines). Free parking on evenings and weekends. For events held at Artisphere Spectrum Theatre, use the parking garage entrance on Arlington Ridge Road. This garage does not require validation and closes at 11 p.m.
Free Music Download From Jars of Clay!